Wearing organic makeup on your wedding day will help you look and feel your best. However, between the ceremony and the reception, there likely won’t be much time to touch up or reapply. Use the following tips to ensure your makeup looks beautiful all day long. Perfect bridal makeup is all about balance. Wearing minimal cosmetics could wash out your complexion in wedding photos. Going for a dramatic look, on the other hand, could hide your natural features. Instead, opt for organic makeup products in neutral tones that flatter your skin tone and reflect your unique style. If you’re having an outdoor wedding, avoid lotions and cosmetics with high SPF levels. Sunscreen often contains zinc oxide and titanium dioxide. These ingredients cause flashback, meaning they will give your face a white cast in any pictures taken with flash. Instead, stay in the shade whenever possible or wear products with low SPF levels to avoid sunburns. Applying a primer before any other cosmetic will help the look last longer. Primers are available for the face, lips, cheeks, and eyes and are designed to lock pigment in place. After applying makeup, also put on a setting spray. This product will prevent streaks and fading as the night goes on. 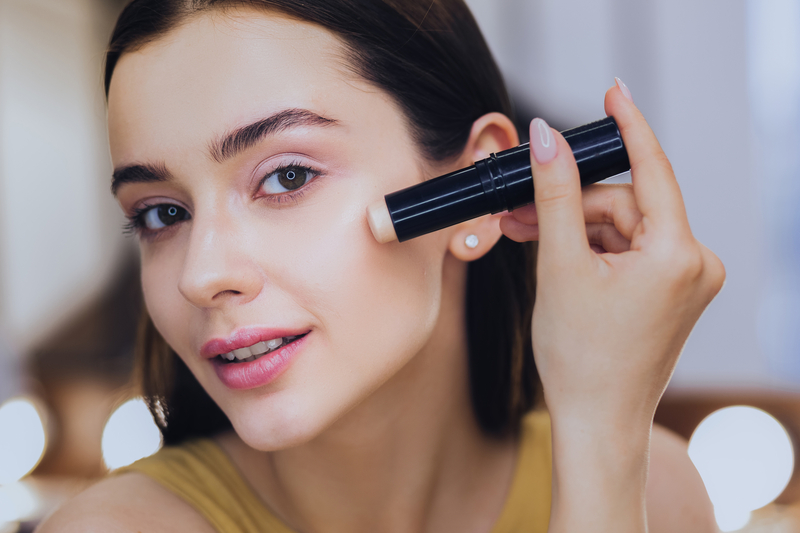 You might perspire during the event, which could leave makeup looking oily. Apply a translucent powder when needed, as it will help combat the shine. If you don’t have time to tend to your makeup, carry blotting papers on you. The sheets will soak up excess oil. If you want high-quality organic makeup or need a haircut before for your wedding, contact Bloom Beauty Lounge in Manhattan’s Chelsea neighborhood. These elite stylists will create a look that turns heads on your big day as well as share tips to apply cosmetics like a pro. To schedule a bridal hair appointment or inquire about their organic makeup selection, call the New York City hair salon at (212) 255-9355. You can also visit the shop online to meet the team and like them on Facebook for hair care advice.